Duct gaskets seal against air, dust, liquid, gas and dirt in HVAC installations and repairs. Duct gaskets are available without adhesive or single or double coated, depending on the application. Apply duct gaskets wherever a tight seal is needed in various heating and air conditioning ducts. We supply duct gaskets kiss-cut in rolls or on sheets for easy application. You may also prefer your die-cut duct gaskets boxed in single liner-backed pieces. A variety of materials are available for duct gaskets from conformable butyl to firm EPDM, neoprene sponge and vinyl nitrile. Adhesive is available for single or double coating. Duct gaskets can also be ordered with no adhesive backing. 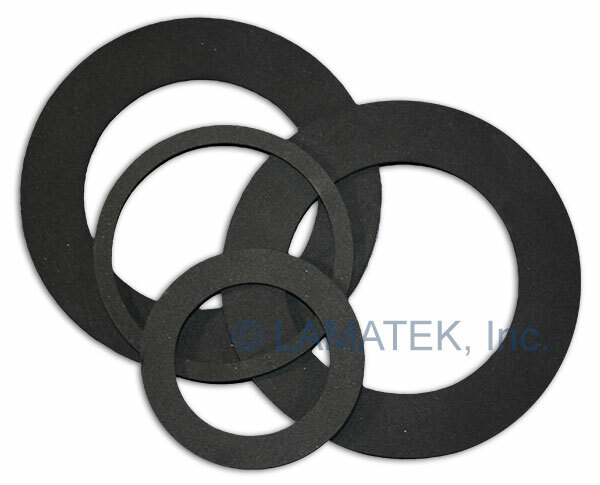 Submit your requirements and LAMATEK can create custom duct gaskets sized exactly to your specification. We specialize in providing precision service and custom solutions for HVAC duct work. Contact us today to request a quote for custom duct gaskets.